Finally enjoy trinking water! 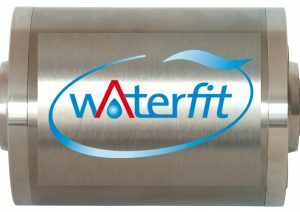 Advantages of Waterfit water treatment including wellness! Waterfit makes your home a feel good oasis. Waterfit. At home. At last. Sanity + Feeling = Waterfit. plant or directly into the groundwater. We can return thus a better water to nature by Waterfit as we usually get it from the water-pipe networks. And Waterfit will save the nature much chemistry. Waterfit … more than you expect. Where can you use your Waterfit ? Water – nothing in particular ? Water is far more than just the compound of hydrogen and oxygen. its unique ability to store biophysical information. The latter however is nearly always lost during the water’s passage from source to consumer, owing to negative environmental influences, conduits, pumps, etc. The result: impaired vitalization properties, leading, when the water has an elevated lime content to excessive scaling in pipes and appliances, and thus to disorders of function, increased costs of maintenance and repair. However, there is simple and highly effective means, of restoring the positive properties of water: Waterfit! Water is the element of life for all humans, animals and plants. The human organism comprises about 60-70% water, and needs water daily, about 2-3 litres. Heat or physical exertion may increase this requirement. As a person grows older, he or she experiences a reduced subjective need to drink water, independent of the body’s needs. Partial desiccation is the result, the skins becomes increasingly wrinkled. We are losing our ability for concentration, get tired, start drinking coffee etc., but after a while we are feeling more tired than before. Because e.g. coffee is known as a dehydrating drink and is getting energy out from the energy reserve of the body. The desired effect for feeling more awake will not be reached more frequently. But this desired effect for feeling more awake can be achieved by vitalized water. No good Waterfit water available nearby ? Fruit juice as an alternative ? Doctors have found out in extensive studies that fruit juices increase the risk of gout, so the accumulation of uric acid in blood and tissues. With consequences such as pain in joints and kidney problems for men and women. Already a sweetened soft drink per day increases the risk of gout by approximately 70-85%.So why are we drinking too little water ? Doctors have found out that the body recognizes what is good for him and what is not. With classic tap water the body needs additional power to handle this water. So he refuses it and does not require it. Why is it so ? Natural spring water loses its vital properties in transit from source to consumer. Forced into straight-lined piping, the water’s natural tendency to swirl is suppressed. Furthermore, because of pumps water loses its natural crystal structure. Waterfit is constructed to counteract this loss of water quality as far as possible. By the way: our users also report that animals such as dogs, cats, horses etc. prefer our energized water. Why? You cannot affect animals, they just instinctively know what is good for them. Man has filed already (unfortunately) many of his instincts. So it is harder for him to recognize good water. Waterfit can help. Waterfit spends its time onto the maintenance and progression of water quality. … and you will get our environmental bonus. Call us NOW: +43 1 707 32 76 or contact us now !